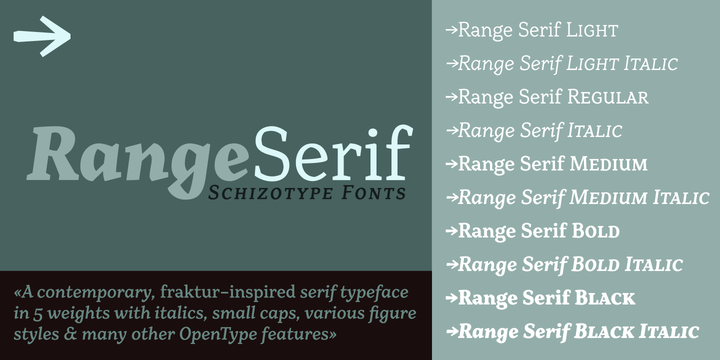 Range Serif is a typeface created by Dave Rowland and published by Schizotype. This family font contains 10 fonts perfectly for corporate identities, contemporary art catalogs, even t-shirt slogans. All fonts contains standard f-ligatures and you will find other tips if you buy it! A font description published on Saturday, November 17th, 2012 in Fonts, Schizotype by Alexandra that has 2,890 views.